To facilitate a comfortable interior for gym members in the brand new Planet Fitness Megaclub in The Club precinct in Hazelwood, Pretoria, architect Tony Hofman specified a rigid insulation board that could double up as ceiling face. “Rigifoam’s 80mm LAMBDABOARD® was selected for its good insulation properties and the fact that the rigid board can be installed to serve as a ceiling,” Hofman says. 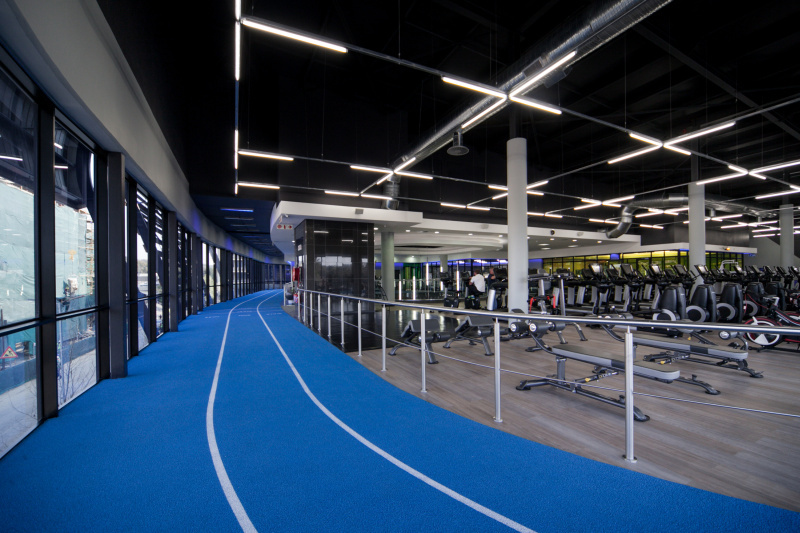 Planet Fitness is situated in Die Klubhuis, also the new home of property developer, Atterbury, and features a running track along the perimeter of the entire building. In the gym portion of the building, Cladco installed Rigifoam’s 80mm LAMBDABOARD between purlins under the sheeting with the services suspended below it. 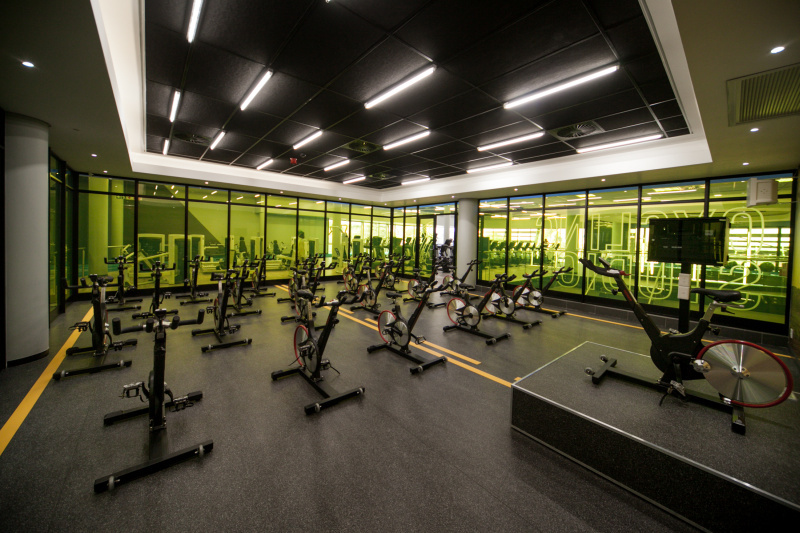 To blend with the interior look of the rest of the gym, the board was painted black. LAMBDABOARD is a flexible faced polyisocyanurate (PIR) insulation board made on a continuous laminator. The PIR core is a thermosetting, closed-cell foam plastic that offers the highest levels of insulation properties. The PIR cored insulation uses a hydrocarbon-based blowing agent which has zero ozone depletion potential, it does not contribute to global warming and complies with Kyoto Protocol. It is also HCFC- and HFC-free. According to Duncan Goldsmith, managing director of Rigifoam, LAMBDABOARD has the highest R-value per 25mm thickness, therefore the design U-value of the insulation system can be achieved with a minimum thickness. “This allows the air-conditioning system in the building to operate economically, keeps energy costs as low as possible and decreases the overall footprint of the building,” he concludes. • Resistant to solvents used in construction adhesives. • Good performance in fire tests. • Service temperature range from -30°C to 140°C. • Thermoset material does not soften or melt.